Coastal Living just published a list of what they consider to be the 10 best beach hotels in the world. Let's take a little trip around the world! 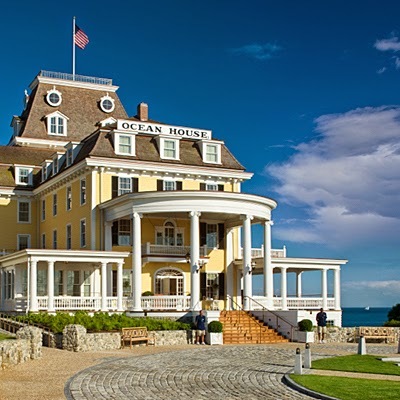 "A grande dame seafront hotel on a private white-sand beach from Watch Hill's late-19th-century heyday, Ocean House underwent a $146 million restoration that put it on the world's map. The magic of Ocean House lies in its ability to retain a genuine sense of bygone grace with modern amenities." "With its blufftop setting that overlooks crashing surf and exquisite beaches, the Montage glows with California drama and design. 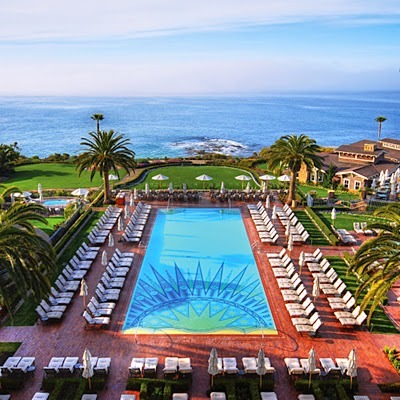 Taking advantage of Craftsman elements that echo Laguna Beach's founding as an art colony in the early 1900s, all of the resort's 248 guest rooms... offer stunning ocean views and are appointed with early California artwork." 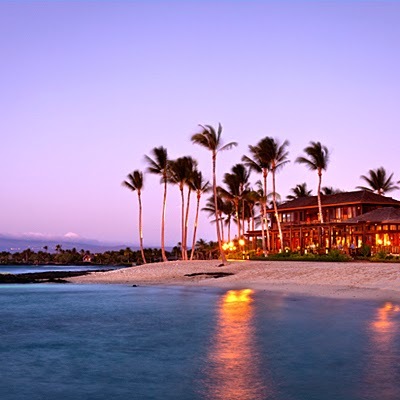 "Set on the Big Island's exclusive Kona-Kohala Coast with turquoise oceanfront, fine white sand, and black-lava landscapes, this resort casts a spell. Housed in intimate two-story bungalows, the 243 guest rooms and suites exude a nostalgic sense of Hawaii's Golden Age with expansive, open-air living spaces and island-inspired decor." 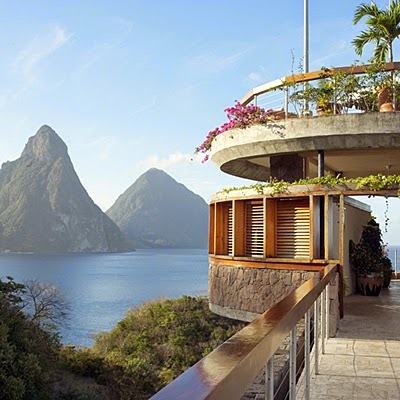 "The most well-traveled guest still can't help but gasp when entering any of Jade Mountain's 29 suites to take in the view across Soufrière Bay to St. Lucia's fabled Piton peaks. Further, architect-owner Nick Troubetzkoy's design removes an entire wall so that each suite opens to a private infinity pool (five of the suites have Jacuzzis instead) and the sense of being suspended in the soft Caribbean air, hundreds of feet above the sea." 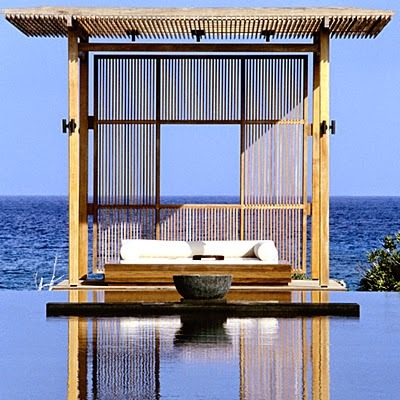 "Amanyara's 20 villas and 38 timber-shingled pavilions are steps away from Malcolm's Beach, a half mile of soft, white sand, and the resort borders the pristine reefs of Northwest Point Marine National Park, home to some of the world's best diving. Amanyara's serene, contemporary design pairs with these natural splendors in perfect harmony." 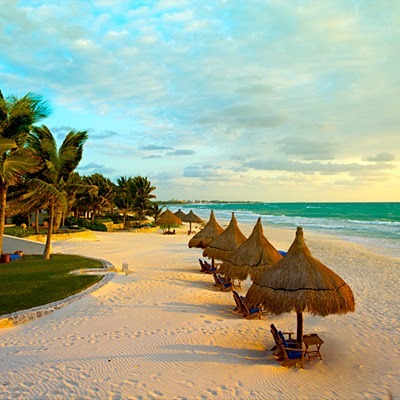 "Set among 25 acres of verdant jungle and on a beach that glows with the fine powder of pink coral, Belmond Maroma Resort and Spa is a gem on the Yucatán coast. Both luxe and low-key, Maroma's 63 whitewashed, thatched-roof bungalows and nine suites feature mahogany and leather furniture, as well as artwork, all made in the hotel's own workshop." "Like a vision from a storybook, this village of bone-white, Greco-Moorish dwellings clusters exotically along the intimate crescent of Maundays Bay. A sophisticated and stylish hideaway surrounded by 180 lush acres with more than 60,000 flowering plants, Cap Juluca features 70 newly refurbished beachfront guest rooms and suites with louvered doors that open wide to oceanfront terraces. (Villas come with private swimming pools.)" "Built on the former Laurance Rockefeller estate, this open-air enclave is surrounded by 1,400 acres of verdant vegetation crisscrossed by meandering nature trails. 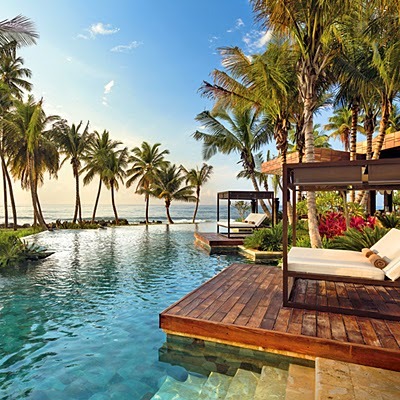 That said, it might be tempting never to leave one's room: Dorado Beach's 100 quietly luxurious guest rooms and 14 suites all sit directly on the beach. 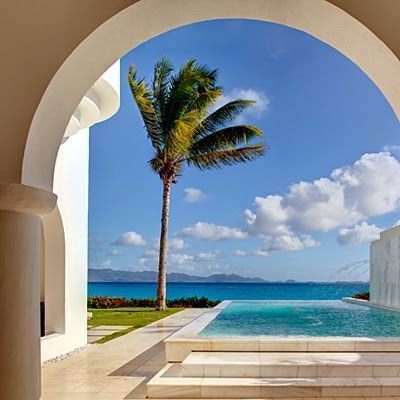 Dedicated butlers, a five-acre spa, and two oceanview pools add to the sense of sanctuary." 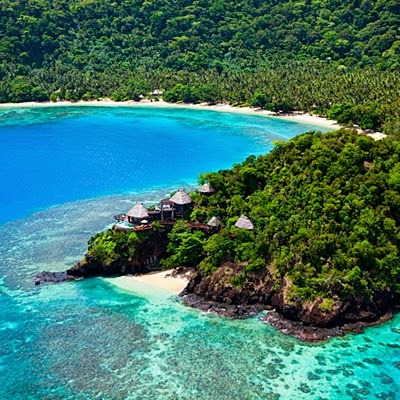 "This 3,200-acre private island features 25 villas scattered amid coconut plantations, on deserted beaches, and atop mountains. All are glamorous versions of traditional Fijian dwellings, with gardens and infinity pools lit by tiki torches. The lagoon-style swimming pool meanders amid palms, and an 18-hole golf course overlooks Seagrass Bay." "...the allure of this late-19th-century villa that has been owned by the same family for more than four generations seems as timeless as its beauty. 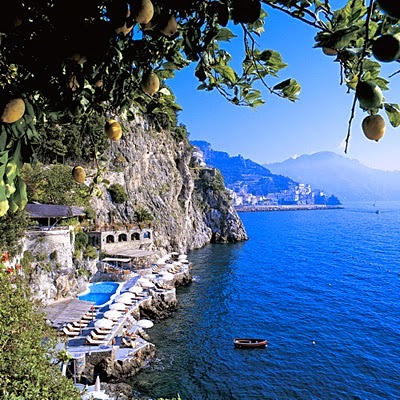 Immersed in the spectacular scenery and cosmopolitan lifestyle of the Amalfi Coast, Hotel Santa Caterina is surrounded by fruit orchards, olive groves, and bougainvillea. The spacious and light-filled rooms have floors in antique hand-painted majolica, marble baths with brass fixtures, and balconies with views over the Bay of Salerno or the garden." These are amazing! I never really think about Rhode Island as a beach weekend kind of place, but I definitely want to stay there!